FEATURES: Adjustable hood, half zip front, waist cinch, elastic wrist cuffs, front & back insulated tunneled kangaroo pocket, sewn-through horizontal baffle design. 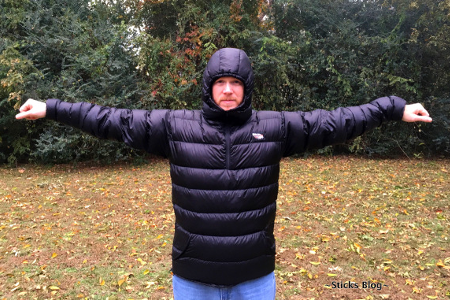 This anorak was custom made for Chad (Stick) Poindexter, of Stick’s Blog (Photo Cred: Stick). 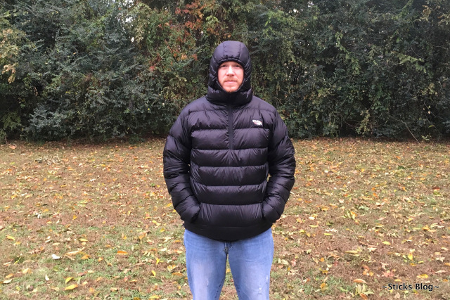 Chad had a Montbell Anorak he loved, but there were some things he wished were different about it – the hood was not adjustable and that the inside of the kangaroo pocket was not insulated. 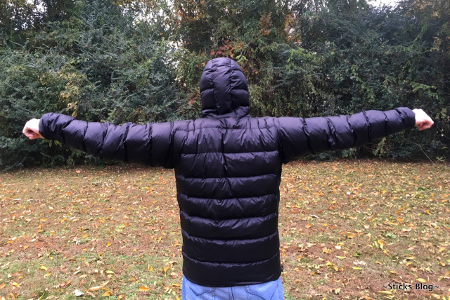 We custom created a replacement for him that not only fixed these issues but had more down-fill to give him a warmer jacket at a similar weight and was custom fit to his exact measurements. Check out his website below for a full review of this product, as well as to see a video of the product features.